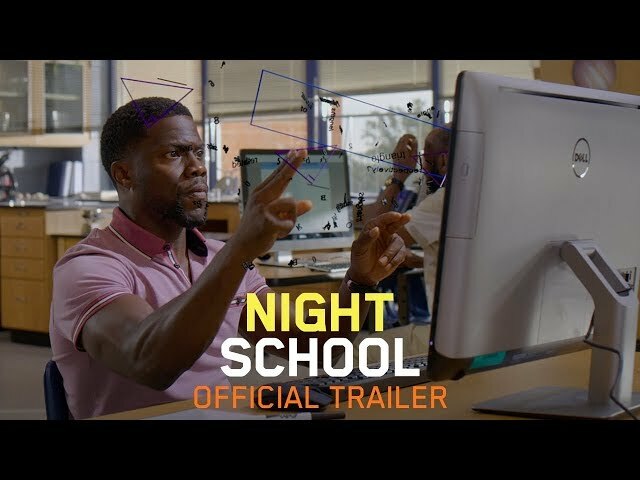 Night School (film, 2018). A 2018 American comedy film with "PG-13" rating by Universal Pictures. Directed by Malcolm D. Lee. Official Trailer. 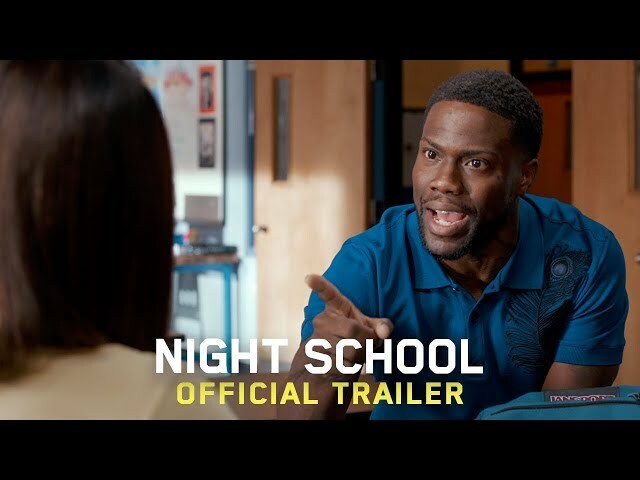 Night School is a 2018 American comedy film directed by Malcolm D. Lee. 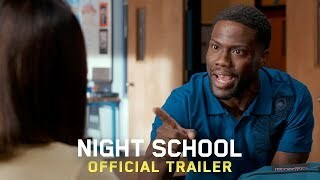 Night School - Official Trailer #3 (HD). In 2001, high school student Teddy Walker drops out of school when he finds himself unable to concentrate during a crucial test. Years later, in 2018, he works as a barbecue grill salesman while dating a wealthy woman named Lisa, having developed a careful financial strategy that allows him to maintain the illusion that he is better off than he actually is. However, his life falls apart just as he learns that he is going to inherit control of the store when the current manager retires. As he proposes to Lisa in the shop, Teddy accidentally triggers an explosion when a champagne cork pops open a gas tank, with the manager taking the insurance from the explosion and running away. Now jobless, Teddy learns from his best friend Marvin that he could theoretically get a job at Marvin's financial investment firm, but it requires him to have a GED. Teddy goes to his old high school in the belief that he can just charm the new principal into giving him the relevant qualification, but this plan is ruined from the start with the discovery that the principal is Stewart, who Teddy bullied when he was at school. Fortunately, Teddy is able to make arrangements to attend night school that semester taught by the unorthodox Carrie, but finds himself still frustrated by his old concentration issues. At the same time, he claims to Lisa that he has already got the job working for Marvin, while secretly working at a local fast food restaurant to give himself some financial support. As the rest of the class struggle to cope, Teddy convinces them to join him in stealing the test answers. When Carrie realizes what happened, Teddy is expelled from night school after he takes the blame. When he returns to make a genuine appeal to Carrie that he wants to do better, she agrees to take Teddy back to night school if he gets tested for learning disabilities, allowing them to determine that he suffers from dyslexia, dyscalculia, and various processing issues. Carrie is able to devise new systems to help Teddy cope and he soon settles into the night school while genuinely befriending his classmates. Principal photography began in Atlanta, Georgia in September 2017. The film Night School was scheduled to be released by Universal Pictures on September 28, 2018 (United States) and on November 15, 2018 (Germany). The duration of the film is 111 minutes. With a budget of $29 million, the film grossed over $103 million. 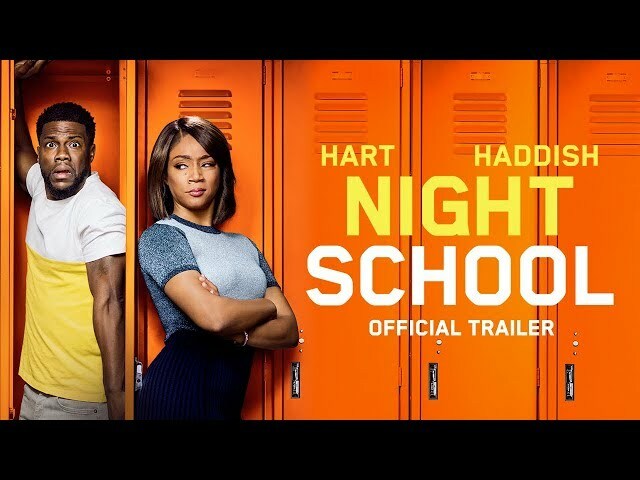 Night School got low rating from critics. The audience dislikes the film either. Audiences polled by CinemaScore gave the film an average grade of "A-" on a scale ranging from A+ to F.